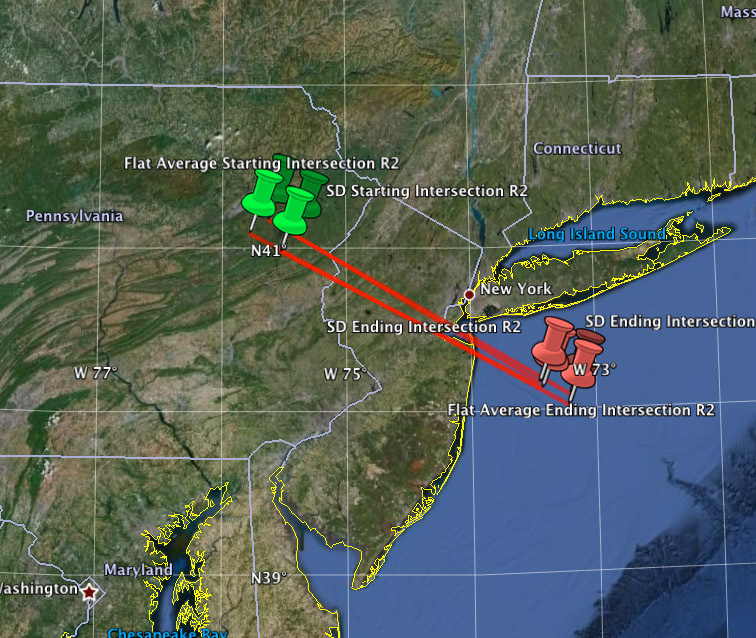 Trajectory of what is being called the Manhattan Meteor compiled by the American Meteor Society based on eyewitness reports (Credits: AMS). On Friday, March 22, much of the northeastern US witnessed a fireball shooting low across the sky a little before 8 p.m. EDT. NASA later confirmed the fireball to belong to a meteor, just under one meter in diameter. Bill Cooke, head of the Meteoroid Environment Office at NASA’s Marshall Space Flight Center, told reporters that the incident was not uncommon, but a combination of the meteor streaking across the highly populated coast and more people paying attention in the aftermath of the Chelyabinsk meteor contributed to the fireball making headlines from New York to Washington D.C. “The eyewitness accounts indicate that this meteor was last seen about 70 kilometers into the Atlantic, so I do not believe there are any meteorites on land from this event,” Cooke said.